This website is designed, developed and maintained by NIT Raipur, which is a centrally funded technical institute under the Ministry of Human Resource Development, Government of India. These terms and conditions shall be governed by and construed in accordance with the Indian Laws. Any dispute arising under these terms and conditions shall be subject to the jurisdiction of the Honorable High Court of Chhattisgarh at Bilaspur. The information posted on this website could include hypertext links or pointers to information created and maintained by Government/non-Government / private organization. 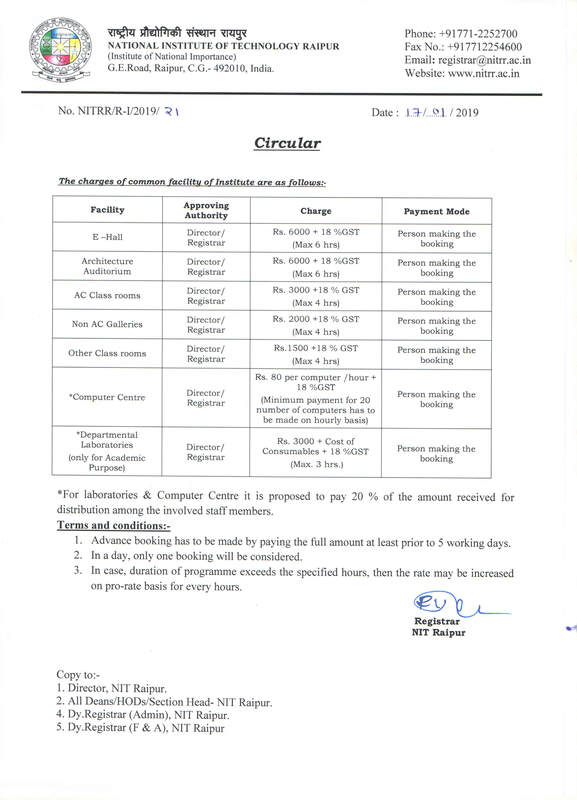 NIT Raipur is providing these links and pointers solely for your information and convenience. 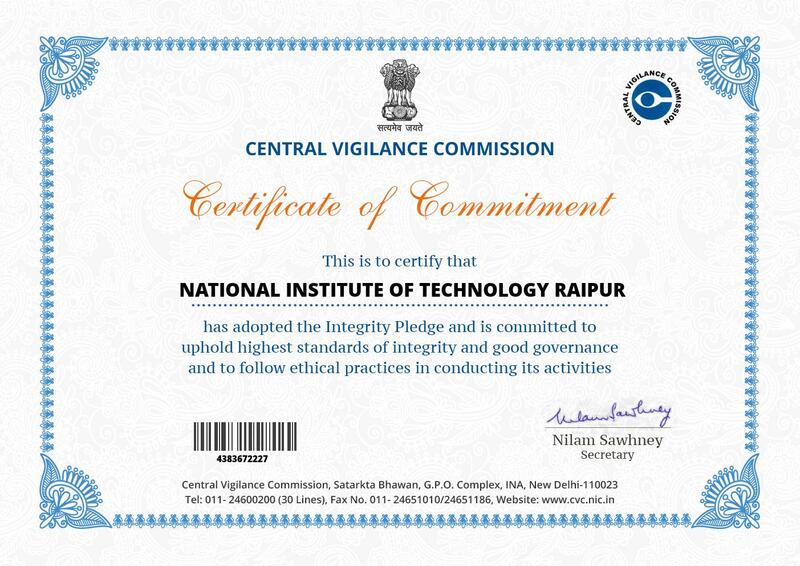 When you select a link to an outside website, you are leaving the NIT Raipur website and are subject to the privacy and security policies of the owners / sponsors of the outside website. NIT Raipur, does not guarantee the availability of such linked pages at all times.